Welcome to 1-800-BAIL-BOND, a Los Angeles bail bonds company. If you are trying to post bail for a loved one or to find out which jail, law enforcement station or holding facility they're being detained at, please call 1-800-224-5266 now to speak to an agent. We're are fully licensed and offer 24-hour service, 7 days a week so you can call us any time, regardless of when or where in California your loved one was arrested and processed. If time is particularly sensitive, know that an actual bail bonds agent must be physically present in your loved one's holding facility to complete the process. We'll offer our fastest service for Bail bonds in Los Angeles due to our proximity to the County Jail and Police Station. You can also download forms on this page to get started on the paperwork that will be necessary for the release of anyone in custody. For quick service, call us first at 1-800-BAIL-BOND (1-800-224-5266)! Ask your bail bondsman to locate your person of interest if you don't know what jail, police station or Sheriff's station they're being held at. The California, bail bonds process is going to require a little paperwork. But don't worry we will help you get through it. Bail amounts set by judges are designed to ensure that defendants appear in court. If any court dates are missed, the defendant and bail indemnitors may be held liable for the total amount the judge sets. Bonds are set by judges and bail agents are prohibited by law to charge anything more or less than the 10% bail bonds fee. In rare circumstance approved by the California Department of Insurance and is almost always illegal for typical cases and arrests a less % bail bond fee can be charged. Release times vary from station to station and bail agents need to be present for release, so the faster you call, the quicker we can get your loved ones out. We are open 24 hours so we can free your loved ones as fast as the process takes to get booked and released in their particular law enforcement station. You can always call our offices at 1-800-BAIL-BOND 24-7 for professional and quick bail bonds service. Knowing the law enforcement station where your loved one is being held is beneficial for faster service, but if you don't, not to worry! A bail bondsman can find their location for you regardless of where they are in California. We always want to provide you with quick bail bonds service, regardless of where you are in California. If we can't get a bail bonds agent to your loved one's location quickly, we'll send a closer bail bonds company instead. While no bail bond agency can control the actual booking and releasing process of a particular law enforcement facility, dictate the current arrest volume or speed up the time it takes to see a judge, we can expedite the bail process by faxing or emailing initial paperwork while a bail bondsman is en route so your loved one doesn't spend any unnecessary time in custody. 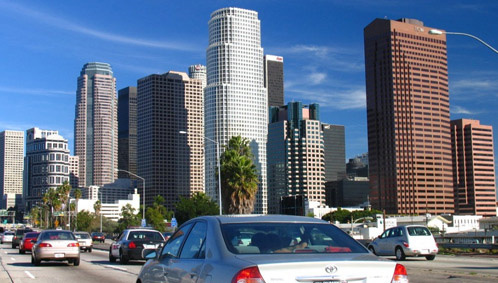 We can also provide extremely fast service for in Burbank, Glendale, Pasadena and Van Nuys. For all coverage cities visit our Los Angeles County Page. 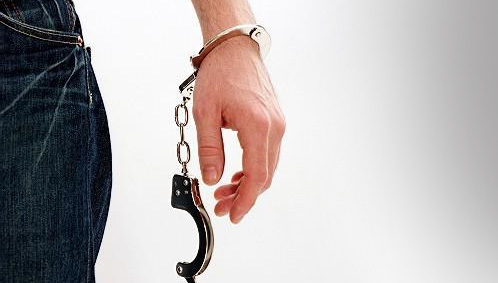 One question that we get asked a lot during the Los Angeles bail bonds process is whether we use ankle bracelet monitoring on clients we release. The answer: it depends on the situation.